12:00 Angela Carpenter "The Heart Chakra"
1:00 Dr. Natalie Weaver "The Gut Brain"
2:00 Susan Archer, LCSW "Low Energy Neurofeedback System- Give Your Brain a Tune Up"
12:00 Harry Boyd- "GHOSTS! Myths to Mainstream. With the evolution of technology, what we used to call paranormal is simply becoming "normal." Bio: Harry is an author, speaker, and intuitive. Keenly interested in psychic phenomena and the paranormal, Harry co-founded an investigative group called PROBE; Paranormal Research of Battlefield Energies, which focuses on the investigation of paranormal activity attendant to battlefields and areas associated primarily with the Revolutionary and Civil Wars. Have you ever wondered what messages your friends and family who have passed on may have to say to you? Today is the day to find out. Join medium, Sheila Boyd, for a gallery reading. Sheila will read for the entire audience. There is no guarantee that she will have a message for you. It's up to the spirits to decide! Angela Carpenter is an intuitive reader who uses tarot cards. Rev. Robyn Smith is an angel healer and angel card reader. What defines a crisis? Mark draws on sources as diverse as Gavin deBecker’s The Gift of Fear, pop song lyrics, his own hypnotherapy training and real life experiences. Discuss effectiveness of techniques ranging from short term Western medicine therapies to Eastern/alternative treatments. Learn the perils of advice and the therapeutic “but.” Most of all, come away with a better understanding of how to create options to gain control of the crisis situation. Audience participation is welcome and feel free to share your own experiences and successes/failures in crisis situations. Bio: Mark Maloney is a Hypnotherapist certified through the AHA (American Hypnosis Association), with specific AHA certifications in all hypnosis subjects listed. He is a graduate of Hypnosis Motivation Institute (The first accredited hypnosis school in the USA), and also earned an M. Ed., and a BA. Join Joann Maloney to discuss how Reiki energy healing and aromatherapy can be a vital part of assisting you in a crisis situation. Discuss specific examples of clients who have overcome crisis situations in their lives by utilizing Reiki and Essential Oils. Gain insights on how you can be supported by these natural healing methods. Bio: Joann Maloney is a Reiki master and the owner of Revive Your Vibe a natural healing practice located in Richmond, Virginia. She provides Reiki, Chakra Balancing, and AromaTouch treatments and is also a Wellness Consultant for Essential Oils. Joann believes that we all have the ability to heal ourselves from within. When she was introduced to the physical, mental and spiritual healing powers of Reiki and Essential Oils, she decided to open her own natural healing practice to share this vital part of a healthy lifestyle with others. 12:00 Rosemary Proffitt, CHTP Healthy Vibes - "Inner Sound Tuning Fork Therapy"
Tuning forks are used in the realms of medicine, music and science for a variety of applications. In this workshop we will explore sound healing - how and why it can be an effective way to activate clarity, balance and harmony in your body and its vibrational dimensions: the meridians, chakras, aura. This original and very unique modality - Inner Sound Tuning Fork Therapy - has, through case studies, been proven effective to address mental and emotional challenges, physical pain, disease management and developing self awareness by harmonizing the frequencies in the body. Harmonizing means 'making an orderly and pleasing combination of elements within a whole' - like teamwork. Want your body, mind and spirit to work together as a team for you? Attend this workshop to discover how the vibrational frequencies of Inner Sound Tuning Forks can create coherence in your flow of life! Rosemary's Holistic viewpoint is to identify and help remove the underlying cause of a disturbance by honoring body-mind-spirit integration and wholeness. She applies a client-centered approach that addresses your whole person by assisting with positive goal setting, lifestyle coaching, methods for self-care, nutrition/supplement suggestions, along with her expertise in applying effective energy treatments to create a program for your good health - BECAUSE FEELING GOOD IS IMPORTANT! 1:00 Rev. Ingrid Jolly "The Aura: Our Best Protection"
…”Man's true garment is his aura which contains all the colors that represent his qualities and virtues. The aura has a magical function: it influences the spirits of the invisible world, attracting the entities of light and repulsing entities of darkness …” stated the late Master Omraam Mikhael Aivanhov”. Join Ingrid and experience your Aura, its reality and purpose and how we can create natural boundaries for its protection and at the same time serve evolution from within our self. Let’s engage into some simple activities to benefit your self realization within the Spiral of Time. This will be an interactive session and participation from your heart will be appreciated and willingness to become energy literate. Bio: Rev Ingrid Jolly, DD has worked within the world of spirit since 1969 and uses Aura Photography with Ultra Imaging as a realistic starting point to inspire personal awareness of the world of subtle energy and become energy literate. She is an intuitive empathic counseling who conveys the Cosmic Teachings from the Celestial Solar Plans of Diving Living Light and its Lifestream Alignment. She is a certified Agent of Consciousness Evolution and Interdimensional healing. Ingrid believes in changing this world through sacred living and holds classes and workshops at home base and at many expos and holistic events. .
2:00 Sarah West "The Sound of Healing with Origin Consciousness Awakening Tools to Heal Trauma, Increase Prosperity & Enliven Health"
Navigating this human domain is a wild ride to say the least. If you've made it this far, you've discovered ways through the challenges the human personality imposes on oneself and each another. We'll talk about what to focus in order to embody Deep Peace while still being grounded and "real" in handling life's vicissitudes. Sarah will transmit a series of vibrations you can align and anchor into every fiber of your being to facilitate healing. She'll offer practical pointers to guide you into this space yourself and how to use these frequencies everyday to enhance harmony, self-acceptance and energy for your everyday life. Sarah is an author with her most recently published 15 year anniversary edition of "The Search for the Beloved" – men cry when they read it! She is also an award winning film soundtrack composer, recording artist and performer she calls Celestial Mystical Opera, Voice of the Angels. Sarah creates otherworldly, haunting soundscapes leaving her audience with indelible impressions of peace within and transcendence of the human spirit! Additionally, Sarah brings through wisdom and inspiration as an author, TV/Radio producer and Host and speaker/workshop leader. Her Healing Star Music CD’s including the very popular "Lullaby of Peace", "Sanctuary", & "The Sacred Pyramid" to name a few. are available on her website. 3:00 Daniel Goldschmidt "Music and the Body: The Science of Music as Therapy." What is music therapy? Music therapy is using music as the vehicle for therapeutic change. Think of all the ways we interact with music – playing an instrument, dancing, singing with a choir, playing in a band, interpreting lyrics, writing music, going to a concert, working out to music, the list goes on and on. My job as a music therapist is figuring out ways to use these various interactions with music to help people reach their goals. This can be harnessing our innate connection with rhythm to help someone learn to walk again, using a child’s favorite instrument as a motivator to vocalize or complete a task, and countless other interventions. From premature born infants, to children with Autism, to military members, to hospice patients and many more people in need, music therapy has something to offer for almost any population of people. This presentation will cover information about music therapy in practice, defining ways music is processed in the brain and how it may be utilized to help others. Bio: Daniel received his BME in Music Therapy from the University of Kansas focusing on the connections between music and cognition. Daniel has been a music therapist in the Richmond community since he moved here in 2013 to work at Poplar Springs Hospital in Petersburg. There he focused on psychiatric work with the adolescent, adult, and military units. He has since moved entirely into private practice, focusing on children with developmental disabilities, and older adults. Daniel is an avid speaker on music therapy and music cognition, speaking at TEDxRVA in 2014, and numerous conferences around the country. Beyond music therapy, Daniel is the resident composer for a non-profit choral organization in Kansas city, composes for various choirs around the country, is a piano teacher, and a piano tuner. 12:00 Carole Louie "What Goes Around Comes Around: Connecting the Dots Between the Past, Present and Future." Explore the concept of reincarnation with Past Life Regression Therapist, Carole Louie. Although a reluctant medium, Louie discovered that the ghosts trying to get her attention were actually spirits of her past lives and they had a lot to say. Through meditation, psychometry exercises, and group regression, you can begin, or learn new ways, to explore your own past, present and future. About Carole: Carole Louie is an award-wining Interior Designer who has taught meditation and researched reincarnation for twenty-five years. Louie is certified by the Weiss Institute, founded by Dr. Brian Weiss (author of Many Lives, Many Masters) in Past Life Regression Therapy. Her story,, "I Remember" is featured in the anthology, From Ashes to Healing: Mystical Encounters with the Holocaust (ARE Press). 1:00 Karen Madison "Creating Stillness Within Through Breath Awareness"
Discover the rich benefits of Breath and Stillness, Embodiment, and how to Enliven your life. Be in charge of changing the momentum of your life. Conscious breath awareness allows you to reset your neurology and shift from reaction to response, no matter what .This is an amazing opportunity to explore the Dynamic Stillness That Is Within You…That Is Indeed You! Enjoy The Benefits of Inner Stillness! Enjoy Your Breath! Enjoy Your Body! Enjoy Being Alive! About Karen: Karen began her Spiritual Studies in the early 80’s while working as a pharmacist. Since retiring from pharmacy, in 2000, Karen went on to become a Massage Therapist, Usui Reiki Master, an Ordained Minister, and Biodynamic Craniosacral Therapist. She is a gifted practitioner, facilitator, and teacher. Karen assists those who are seeking clarity, insight, and focus on their life path. Her multi-faceted, healing approach is grounded, knowledgeable, and compassionate. Karen has hosted a wide variety of workshops, seminars, and has participated with TED Talks. 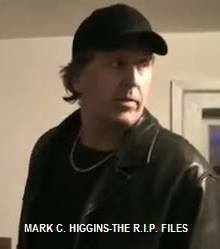 2:00 Mark Higgins "Tales from the R.I.P Files"
Meet Mark Higgins from the R.I.P Files. About Mark: Mark has had a strong interest in the spirit world for the past 30 years He grew up in a military family & their travels took him to such places as Germany, England, France, Austria, Holland, Spain & Italy. Touring the castles of Europe was the spark that set the fire and the rest is history. In 2006 he had a face to face encounter with a spirit, one which he will never forget. Soon after he started to investigate reported haunting's at various locations in the Mid-Atlantic. In 2010 he met members from The R.I.P. Files, a paranormal television docu-reality series at a location he had investigated. As a result of that meeting Mark joined as a cast member. The show has aired on network televison in Australia, New Zealand and also Thailand. The popularity of the show continues to grow and other network deals are pending. The R.I.P. Files is available for download in the U.S. on Itunes, Amazon Prime Video, Fios On Demand and Gaiam TV. Mark has also been featured in various other venues as The Cville Weekly, CBS and The Daily Progress. Marks plans are to continue to reach out to the spirits in hopes of getting closer to what really happens after we leave this earth. 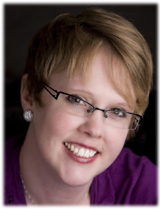 3:00 Laura Evans "The Nitty Gritty on Psychic Energy"
Laura’s talk will focus on the nitty gritty of psychic energy. Some points she will hit are: grounding, protecting, questioning energies and Boundaries; how psychics perceive and mediums receive; the different ways that psychic energy is perceived; how all mediums are psychic, but not all psychics are mediums. She will also teach a technique to help empaths block energy and control what they pick up. 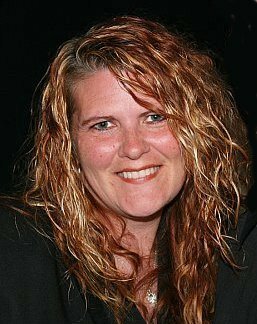 About Laura Evans: Laura was grew up in Utica Michigan and hails from a long line of psychic intuitive women, which include her full-blooded Ojibwe grandmother on her mother's side. From a very young age Laura knew she was different. Encountering her first spirit at age 5 and playing with her imaginary friend (who she later learned was one of her guides,) she has been able to communicate with people on the Other Side for a long time. In the 1980s, her abilities alienated her from friends at school and many grown ups. It was a struggle to try to live normally. Through this journey she has learned many valuable lessons in harnessing and controlling the talents she was born with. She has written and published two books on Amazon: A Bridge to the Other Side and Windows Of My Soul. Laura hosts her own free podcast site that is widely available on most podcast platforms including podbay and Itunes. A few years ago, she opened her own online metaphysical school called Zenith. She has taught mediumship, tarot, face reading and beginner meditation through live interactive classes. 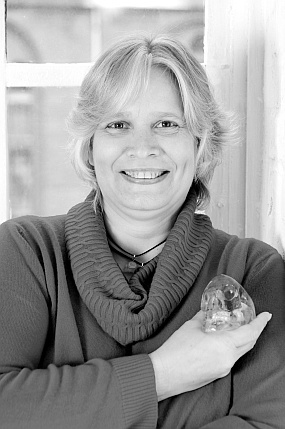 Kerstin Overath- crystal skull aura cleanings, chakra balancing, crystal skulls for sale, readings.